WideBand Corporation was created to develop, manufacture, and market a line of high performance networking products based on the WideCast channels technology, which Roger Billings invented and patented several years ago. 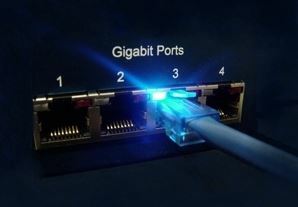 While WideBand networking equipment is compatible with conventional Ethernet equipment, it has the advantage of very low latency. In fact, latencies on WideBand concentrators are two orders of magnitude lower than competing Ethernet switches.